Joshua Walter Pennington was born 20 November 1839 in McDonough County, Illinois and died 13 January 1915 in Oakwood, Dewey Co., Oklahoma. 2 September 1866 in Lancaster, Schuyler Co., Missouri, daughter of Phillip Emmert and Mary Orth. 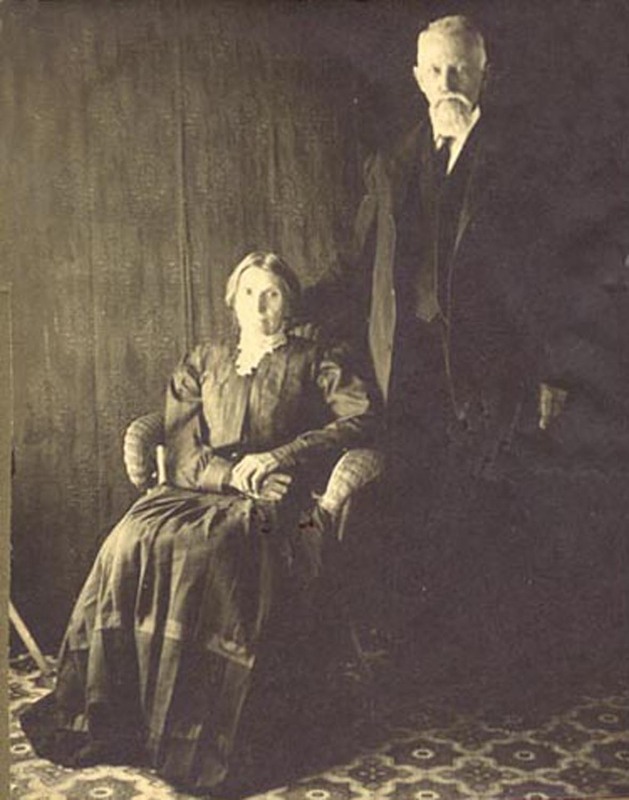 She was born 24 March 1844 in Mutterstadt, Bavaria, Germany, and died 24 November 1914 in Oakwood, Dewey Co., Oklahoma. Joshua was a veteran of the Civil War, having enrolled at Memphis, Missouri 1861, in the Missouri Infantry, Co. "B" 21st Reg.. He was discharged 1865, in Eastport, Mississippi. He immediately enrolled at Quincy, Illinois 1865, in the U.S. Veteran Volunteers, Co. "K" 8 Reg.. He was discharged 1866, in Washington, D.C..
Their children were Lewis, Mary, Joseph, Bessie, Grace, Gertrude, Emma and Francis; all born in Missouri or Kansas. This biography and photograph provided by Rhodley Lewington Alden, great-grandson of Joshua and Catherine.